DECK is proud to present a solo exhibition of new works by Singaporean, US-based artist Tristan Cai. 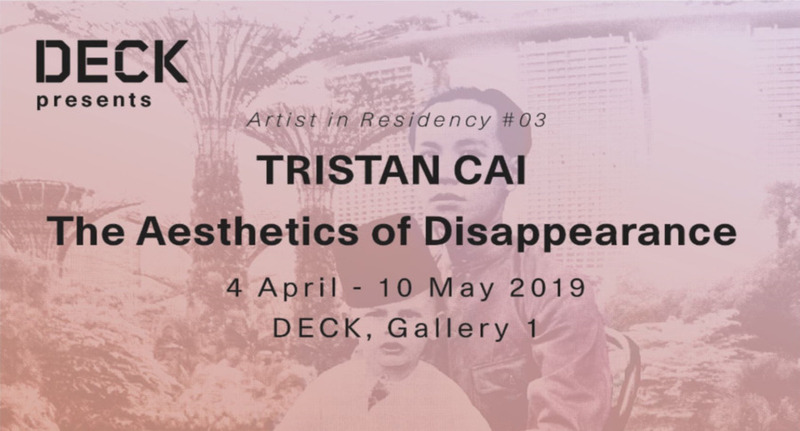 The exhibition is aculmination for Cai’s participation in the artist residency at DECK which began in December 2018. The Aesthetics of Disappearance is inspired by the narratives of houseboys, the predominant group of servants in Singapore from 1800s-1930. Referencing the artefacts of photography-based technologies with moiré effects, halftone colour separation and various optical illusion, visual information is obscured or highlighted with deliberation according to the artists’ bias; a counter strategy in critiquing the limitations of documentation, interpretation and censorship of history.